Just click on a topic to get about! 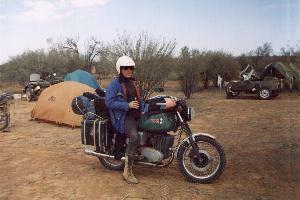 If you haven't already guessed, we are Australian and amongst our hobbies are motorcycles, all road touring and travel. 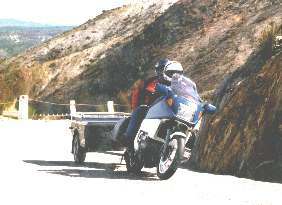 Therefor these pages have been established to host the activities of all like minded riders, that we have called Oz Adventure Riders & Oz BMW GS Riders. RTO has had a long interest in BMW's (& no doubt it will show) but has also owned a range of different types of bike, including enduros and knows that 'Gelendstrasse' or the concept of adventure motorcycling is for riders mounted on any marque! The main thing is that we as riders & tourers enjoy getting out into this sunburnt country. Getting 'Into the Bush!" whether getting (well & truely) dusty, or reeling off those big 'Black Top' numbers, that's what matters. So! Sit back & please enjoy these pages!